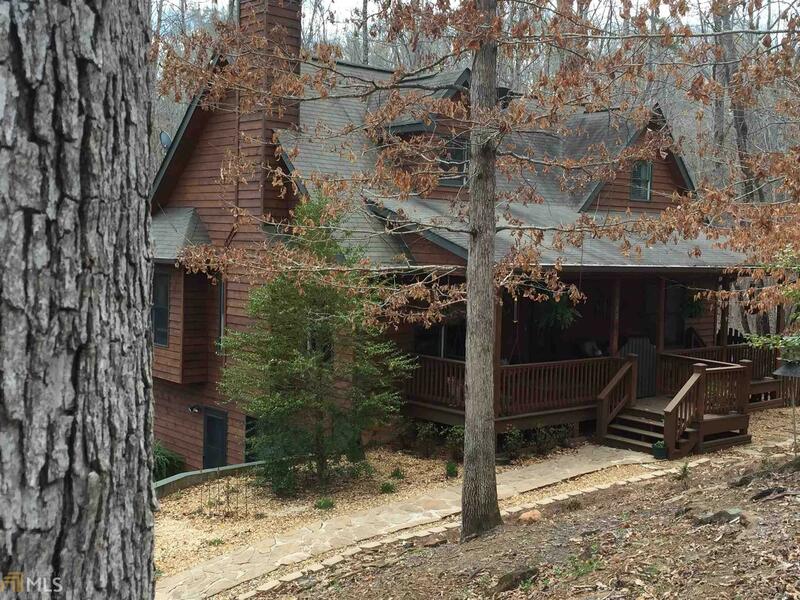 Beautiful cabin in a quiet peaceful community minutes to Historic Dahlonega Square. Open concept with remodeled kitchen overlooking the great room. Two large masters with separate baths and walk-in closets. There is also a loft overlooking the great room perfect for an office. Downstairs there is a den, bedroom and full bath. Perfect as an in-law or teen suite. Lots of outdoor living space, rocking chair front porch, screened back porch and two decks with fenced yard. Back up whole house generator new in 2018. This cabin makes a great full time home or weekend cabin.